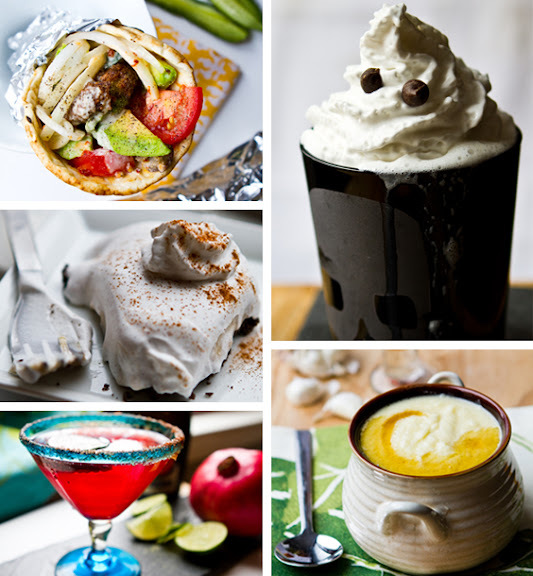 * 30 Vegan Recipes for Fall! 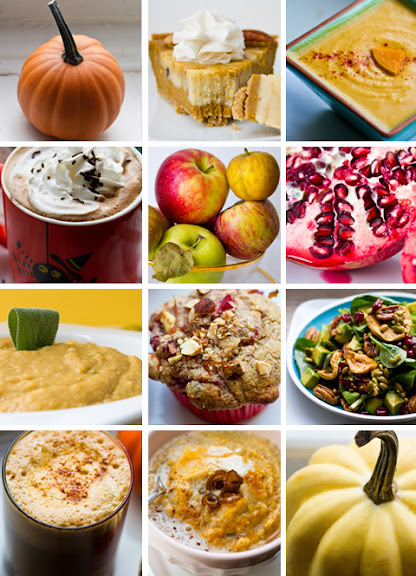 This recipe-packed slideshow shares some of my all time favorite vegan recipes for fall. From my Acorn Squash Alfredo to my 5-Ingredient Pumpkin Pie - browse these recipes and get inspired! And hungry. Sweet roasted garlic and cozy maple syrup bring a head of white cauliflower alive for this comfort food soup - perfect for fall. If you are craving food truck style eats at home - for a fun twist on dinner or lunch - here are my 10 tips! Plus my easy recipe for veggie gyros. Healthy, hearty and delicious. This chili bean soup is packed with good stuff - truly a meal in a bowl. Plus, find out how antioxidant-infused red kidney beans really are - hint: they rank right below antioxidant-rich wild blueberries! I bring back one of my favorite fall cookie recipes. These chewy ginger cookies are flavored with ginger, spice and rich molasses. I put my coconut whipped topping to use with this classy, creamy, espresso-infused "Almost Tiramisu" pie. Pomegranates are back in stock at Whole Foods - so I'm excited to make my favorite seasonal cocktail - pomegranate, lime and a nice splash of prosecco or champagne! Plus my trick for "fresh-pressed" pom juice. Sometimes it's the simple ideas that make you smile - so here's a cute idea to make your cocoa cute and a little spOOky for this Halloween season. And I include a cocoa recipe too.